Something isn’t quite right here. Anyone, who takes a closer look will recognize it immediately – at the Grazer Clocktower time has a different priority. Hours count for more than minutes, and justifiably so, because the view and surrounding of the Clocktower is just magical. 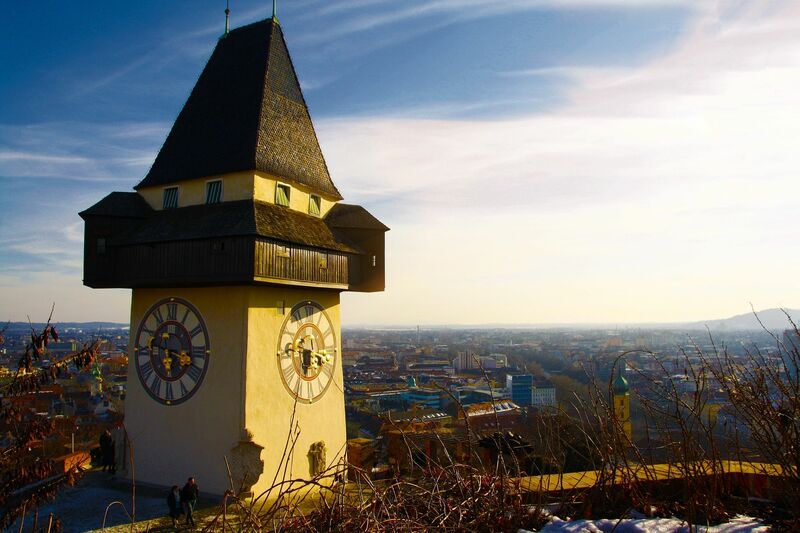 Enjoy the view from this place on the city and gardens of Graz and you will know why. 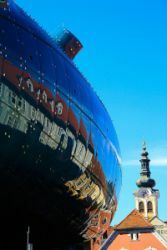 The spectacular architecture of Graz Kunsthaus is an absolute eye candy. 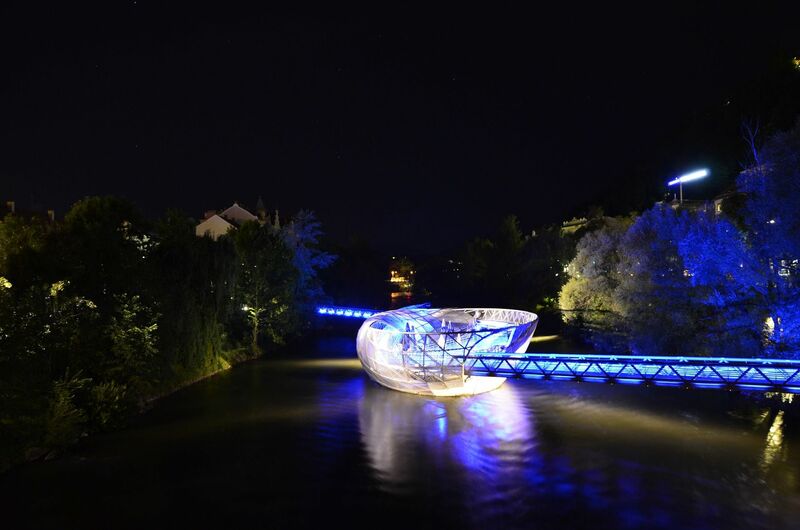 Whilst it’s not common for traditional, urban buildings to perfectly take place next to artistic and new architecture, this is definitely the case with the setting of this museum in Graz. Island or boat? It isn’t easy to define but what is known is its function as a link between river and city. Furthermore, it is a relaxing place to have a coffee or enjoy a cocktail. The Island in the Mur was commissioned as part of the city’s role as Capital of Culture in 2003.